Today, the William Light Foundation reveals information concerning the alleged death of 180 kangaroos in the vicinity of the Beverley Uranium Mine, in the Flinders Ranges South Australia. The following Media Release relates this tragic alleged occurrence to community concerns regarding the controversial process of Underground Coal Gasification (UCG), proposed for the Flinders Ranges by the Leigh Creek Energy Project. Today the William Light Foundation was informed of the alleged mass death of 180 kangaroos at waterholes in the vicinity of the Beverley Uranium Mine South Australia. 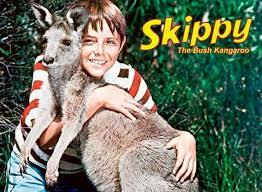 The informant has also revealed that there is allegedly no bird life present at the sites of the mass Kangaroo deaths. The media is reminded that local communities fought against and oppposed the Petratherm – Geothermal energy project that drilled to depths of 5 kilometres in close proximity to the Beverley Uranium Mine. This project which cost taxpayers in excess of $30M was a monumental failure sponsored by the South Australian and Federal Governments, once again the corporations were given the green light and the wasteful project went ahead anyway. Does the drilling from this project through the granite ore bodies and aquifers relate to the apparent contamination of water holes adjacent the Beverley Uranium Mine? A good question for Tom Koutsantonis and the Department of State Development that allowed this project despite vociferous objections from local communities and the traditional land owners, the ones that voiced their concerns and which were prophetic in relation to the failure of the technology soon after at Innaminka SA. While we await the outcome of this latest alleged disaster, close on the heels of the contamination of Arkaroola Sanctuary by Marathon Resources, the foul play thing of the SA ALP, now morphed into the monster of the Leigh Creek Energy Company (LCK) now threatening the local communities with its Underground Coal Gasification (UCG) project, the communities are now asking the simple question, what’s next? Will the ALP and the Liberal party continue to destroy the culture, heritage, flora and fauna of the Flinders Ranges at the behest of their legislatively hidden hand maiden sponsors of these polluting gas mining industry practices? Will there ever be law reform to protect the environment from further damage. Will Nick Xenophon fess up openly to the public and show some honesty and reveal his true agenda which runs harmoniously alongside that of the ALP and the Liberals, as demonstrated by his selection of Kate Bickford (of law firm DW Fox Tucker). This is the very law firm the communities are up against in this long standing battle. Where is the disclosure of vested interests Mr Xenophon? Does this not make a mockery of the stated candidate intake process, suggesting bold and independent electoral representation without vested interests? For over two years the communities have fought to protect their homes and environment from what has clearly been demonstrated worldwide and in Queensland as an attrocious and damaging mining practice and yet Treasurer Tom Koutsantonis, despite the evidence, will leave it to the scientists and not the politicians to make such decisions. Despite pointing to the fact that the scientists (the Lawrence Livermore Laboratory US) have washed their hands of liability, we the public are expected to sit back and accept this nonsense rhetoric. The alleged demise of kangaroos and birdlife at Beverley is a stark reminder that we cannot trust this government nor any government that is likely to assume power. Leader of the Greens Mark Parnell is the only politician that has taken a stand to ban the hideous UCG mining process, the application process of which has assaulted the local communities for over two years. Approximately sixteen endangered species of fauna are present or near the proposed Leigh Creek Energy Project Mine site and despite this a woeful process of community consultation continues with no uncertain result. Will the rare and endangered species including the Rainbow Bee Eater be the next casualty of the the government of South Australia and the corporate interests sponsoring their policy and madness? It is hoped this tragic event is a wakeup call and the destructive mining practices are ceased now, and the obvious alternatives pursued to prevent further loss to the beautiful environment of the Flinders Ranges. Please also consider the tragic circumstance of George Bender, who government failed tragically.